For the 10th consecutive year, California State University, Stanislaus has earned a spot on the Princeton Review’s prestigious list of the nation’s best 380 colleges. According to the Princeton Review website, the staff selects colleges “primarily based on our high opinion of their academics.” It collects data on more than 2,000 schools for the lists and rankings it includes in its annual guide to colleges, which it first published in 1992. CSU Stanislaus joins Sonoma State as the only two members of the CSU system on the Top 380 list, which includes seven members of the University of California system. Unlike Money magazine, which last month named CSU Stanislaus the nation’s top public value-added university, the Princeton Review does not rank the schools on its list. The New York City-based publication also compiles a list of the top schools by region, which pares down the initial roster of more than 2,000 schools to the 649 it splits geographically. 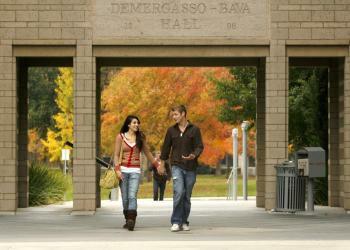 CSU Stanislaus is one of seven CSUs on the “Best Western” list, which also includes eight UC schools. The Princeton Review’s ranking comes on the heels of last week’s Forbes.com national rankings of colleges and universities. Unlike the Princeton Review, Forbes ranks the schools after it chooses a top 650, and placed CSU Stanislaus No. 471 nationally. It also ranked Stanislaus No. 89 among all colleges in the West Region.